The first of several sock projects today! 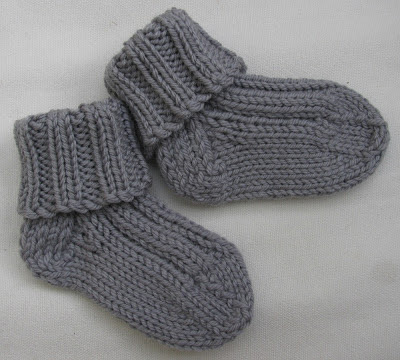 A free pattern available online - Jelly Bean Baby Socks by Susan B Anderson. Knitted in our new Debbie Bliss Cashmerino Aran - easy socks and an ideal last minute baby gift. Great beginner sock project too! Takes less than one ball... 2 balls could possibly yield 3 pairs.